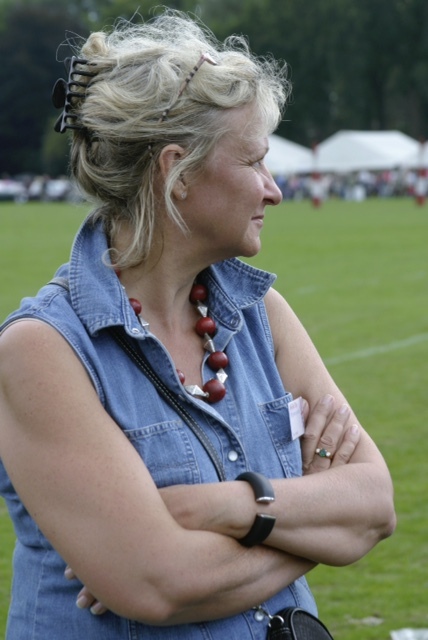 Before she joined us at the BGA in 2010, our Executive Secretary, Sue Austin, used to work in the north of Germany where she was organiser of the charity lifestyle event “British Day” held at the Hamburg Polo Club for 20 years ago. 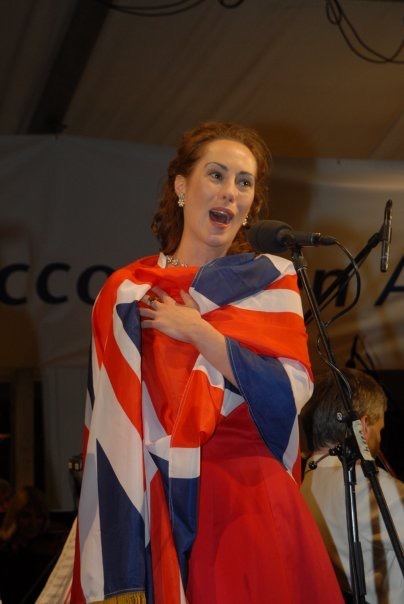 This event is today called “British Flair” and is under new management, but the legacy continues and it still raises money for local charities and gives our Anglophile friends in Hamburg the opportunity to experience and celebrate the British way of life in the heart of the city. 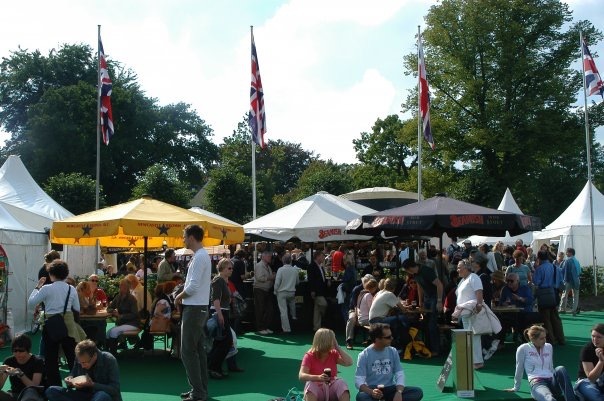 The event was originally set up by Hamburg’s regional branch of the BCCG to promote British products and services – where the visitors could enjoy typically British food and drinks whilst shopping for products and services varying from British country clothing, porcelain, luxury cars and travel and education to Walkers crisps, Pimm’s, shortbreads and homemade fudges,……. the list went on! 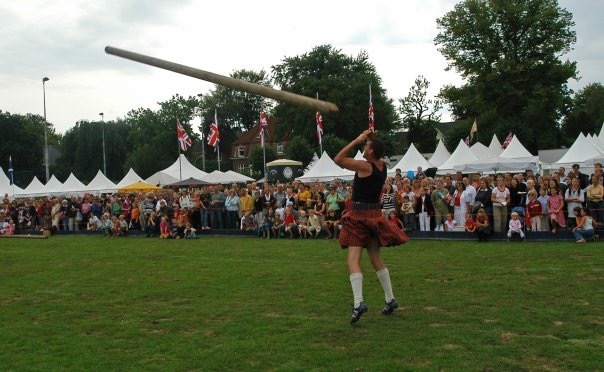 Moreover, the full programme of activities during the weekend included – amongst many other things – highland games, falconry displays, cricket matches, classic cars, Jack Russell races, sheep dogs trials, live music and theatre ….. The cultural highlight of the weekend was the Open Air Proms Concert in the style of the Last Night of the Proms in London with full orchestra and opera singers flown in from London. We are delighted to see from the letter to the Sunday Times shown below that what Sue and the team started, developed and made highly successful with our German friends is still continuing and successfully so. Thank you, Sue, for bringing British culture to Germany in such a hands-on and entertaining way and for organising unforgettable days for Anglophiles in Germany! 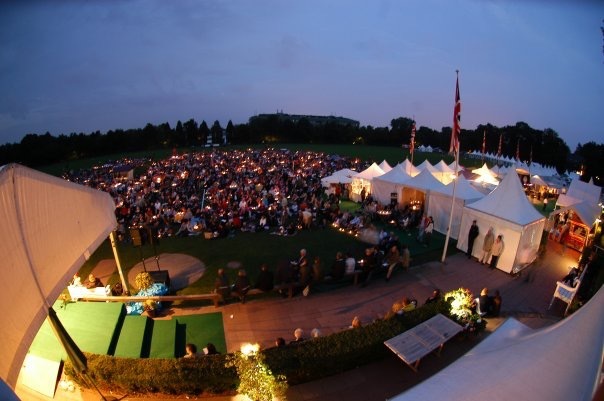 For further information on this year’s “British Flair” in Hamburg and Krefeld we invite you to visit http://www.britishflair.de/. This autumn and next spring Friends of Music and Eaton Square Concerts will be celebrating ten years of producing remarkable chamber music. The coming season is their 20th, and it will end with their 100th concert. The BGA is delighted that Eaton Square Concerts will continue its much valued ‘partnership’ with us by offering reduced priced tickets (£10) to members of the British-German Association. Please click here for the concert flyer. With the redesign of their website BGA members can go directly to the dedicated website for the BGA (www.eatonsquareconcerts.org.uk/german) to purchase tickets at the discounted price of £10. 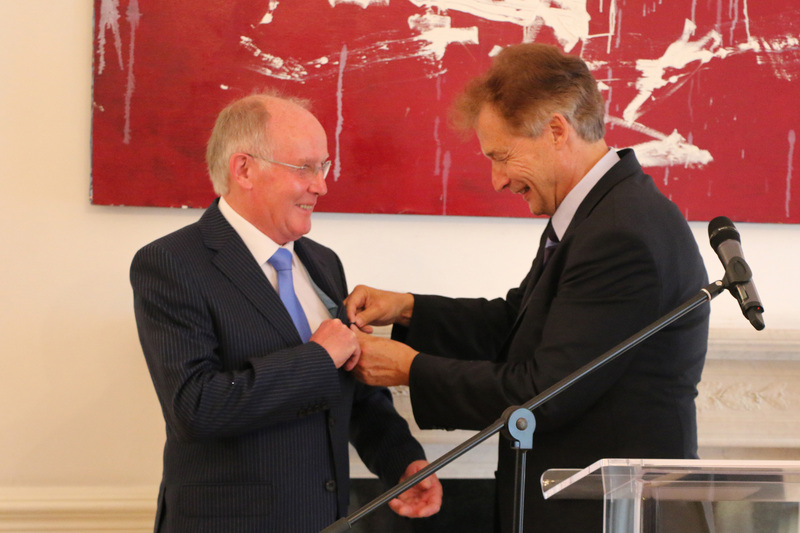 At an Embassy Recpetion on 21st July 2016 HE Dr. Peter Ammon awarded the Medal of the Order of Merit of the Federeal Republic of Germany to John Ellis MBE who’s been running the Doncaster Youth Jazz Orchestra for so many years. It has regular exchange visits with Doncaster’s twin town Herten. Marking 400 years after Shakespeare’s death, Café Mozart is giving a concert focusing on music by Franz Joseph Haydn and poems by Johann Wolfgang von Goethe. The evening “The other Shakespeares” will include music by Haydn, “the Shakespeare of music,” and song settings of poems by Goethe, “the German Shakespeare”, as well as works by their contemporaries. Founded in 1985, Café Mozart is a chamber music ensemble focusing on the late 18th century. Lead by Derek McCulloch, the ensemble consists of Emily Atkinson (soprano), Jenny Thomas (flute), Ilana Cravitz (violin) and Ian Gammie (bass viola/guitar). 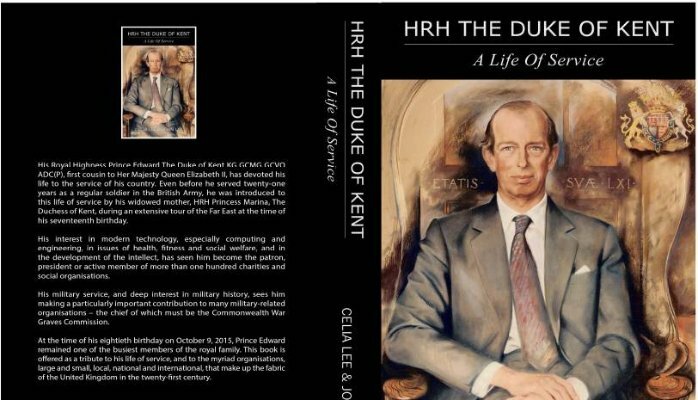 HRH THE DUKE OF KENT: A Life Of Service, an all-encompassing book about His Royal Highness Prince Edward The Duke of Kent, has been published to celebrate Prince Edward’s 80th birthday 9th October 2015. The German Choir of London is a lively choir of around 30-40 singers, who make use of the rich German musical repertoire from Schütz to Bach, from Mendelssohn to Brahms and Reger. Throughout the whole of September The German Choir of London is accepting new members to join them in their rehearsals for the Weihnachtsoratorium by Bach, which they will perform on two occasions in December. They rehearse every Tuesday from 7pm at the Christuskirche in Knightsbridge. For information about their upcoming concerts and other events, please visit their website. 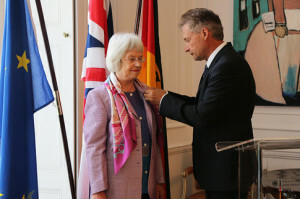 On 3 September 2015 Ursula Paish, known to many members of the BGA and parishioners of the Christuskirche Knightsbridge, was awarded the Medal of the Order of Merit of the Federal Republic of Germany by the German Ambassador Peter Ammon. 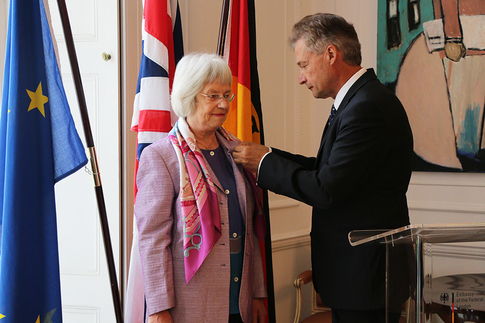 Mrs Paish received the Medal of the Order in recognition of her more than fifty years of voluntary help for the Christuskirche Knightsbridge. 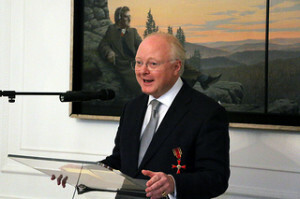 The the full speech by Ambassador Ammon can be found here. June this year marks the 200th anniversary of the Battle of Waterloo, better known in Germany as La Belle Alliance. After the battle the Duke of Wellington met Marshal Blücher. They shook hands and embraced, and Blücher said, “Mein lieber Kamerad! Quelle affaire!” They rode together to La Belle Alliance, where Prussian cavalry greeted them with a fanfare of trumpets. Wellington handed over responsibility for the pursuit of the retreating French army to Blücher and the two heroes parted. It had been a close run thing but Wellington would never have fought Napoleon that day if it had not been for assurance given to him by Blücher that he would come to Wellington’s support. With the gracious permission of Her Majesty The Queen, Waterloo 200 and The New Waterloo Dispatch are arranging an elegant Waterloo Banquet at St James’s Palace on Tuesday, 9th June 2015, nine days before the anniversary of the battle and exactly two hundred years to the day that the Final Act of the Congress of Vienna was signed by the Great Powers in 1815. This is a unique occasion and a very special evening in magnificent surroundings and in the presence of Count Bluecher von Wahlstatt and The Earl of Mornington, son of The Duke of Wellington. We are sure that some BGA members and friends would like the opportunity to attend. You will not find this occasion advertised publicly. It is through personal introduction only. So if you planning to go please register your interest online at https://www.greenvelope.com/event/The-Waterloo-Banquet . 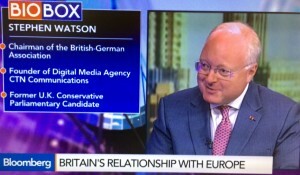 “In the last few months I have had many opportunities to heap praise, very well deserved, on the British German Association,” said Ambassador Ammon. “Today, I would like to do the same with its Chairman,” the Ambassador added. Following the ceremony, Mr Watson said: “I feel hugely honoured to receive this award. It has been a privilege to lead the British-German Association over the last eight years, ably supported in this task by an outstanding Board. 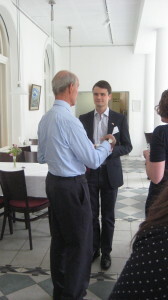 Stephen Watson also expressed his appreciation for the co-operation with the Embassy. Since taking up the Chairmanship of the BGA in 2007, Stephen Watson has developed the organisation into a modern, inter-generational player in British-German relations, making great efforts to forge more – and closer – links between young people from the UK and from Germany. 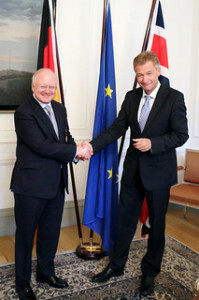 In his speech Ambassador Ammon complimented Stephen Watson’s outstanding commitment to recruiting ever more friends of Germany and the German language. For further information and photos please go to webpage Affiliates – Affiliate News on the BGA website. 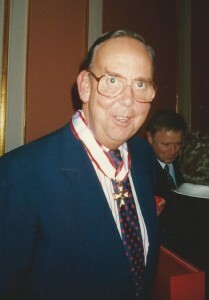 On the occasion of the 70th anniversary of the British and American bombing raids on Dresden, HRH The Duke of Kent is being awarded the “Dresden Prize” by the Friends of Dresden Deutschland at Dresden’s Semper Opera House on 14th February 2015. The Royal Patron of Britain’s Dresden Trust and The British-German Association is being honoured with the international peace prize twenty-two years after the Trust answered a ‘Call for help’ to rebuild Dresden’s ruined historical centre. 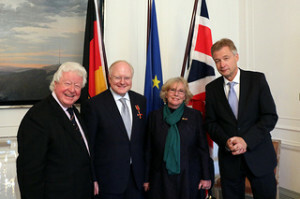 In responding to the invitation to receive the Prize, the Duke described it as a tribute to all supporters of the Dresden Trust, who raised over £1 million to restore the city’s famous baroque Frauenkirche (Church of Our Lady): “The award recognises their achievements and indeed the achievements of all people of good will in the United Kingdom and Germany, who have worked over the last sixty years to bring reconciliation between our two countries. Their success is an example to the rest of the world of what can be achieved through building trust and friendship,” the Duke said. Previous recipients of the award included Mikhail Gorbachev and Daniel Barenboim. On 12th February at the Kreuzkirche (Church of the Holy Cross), the Royal Patron of the Trust, HRH The Duke of Kent, will honour the Mayor of Dresden, Frau Helma Orosz, with the Dresden Trust Medal for her furthering of reconciliation and understanding of the city’s history. At the same event, Eveline Eaton, Chairman of the Dresden Trust, will present the Mayor with a “symbolic cheque” as a down-payment for the Trust’s new project together with the City for the creation of a green area with trees and benches in 2016. This event will coincide with the opening of the Dresden Project art-exhibition by Monica Petzal, a Dresden Trust Board Member, whose show will later in 2015 go to Coventry Cathedral and the Herbert Museum for the 75th commemorations of the German bombing. Although the financial and economic crisis which rocked the world in 2008 is far from over, there are at last small tangible signs that it is slowly being overcome. The public sector is gradually balancing its books, the Eurozone is set to grow this year and next year’s growth will be higher than this year’s. Nevertheless there remains a huge uncertainty around the future of the European project. The EU faces numerous socio-political tensions and diplomatic challenges on global scale. Today’s young professionals have a particularly tough challenge, with unemployment in the UK still around one million and stuck at 60% in countries compelled to accept bailouts such as Greece and Spain. Large gains for populist parties in this year’s European Parliamentary Elections confirmed the increasing extent of dissatisfaction towards the EU and policies like austerity. Having formerly occupied the posts of German Ambassador to Paris and Washington, as well as that of Permanent Undersecretary at the German Foreign Office, His Excellency Ambassador Peter Ammon brings a wealth of expertise and dedication to the job. 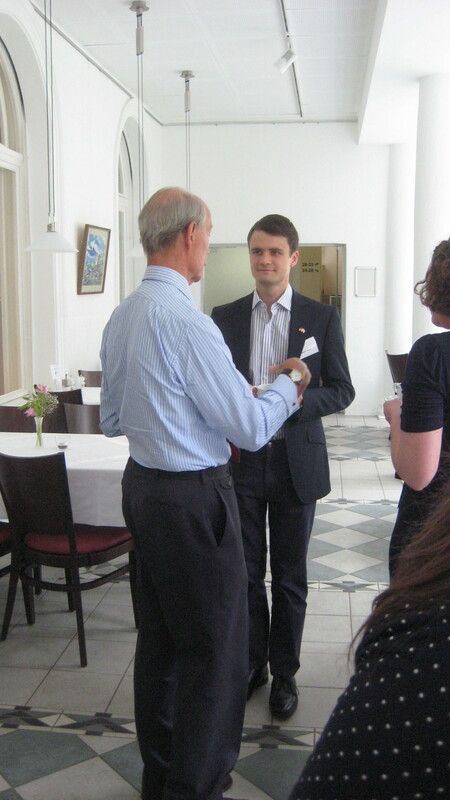 His career as a young diplomat began at the Embassy in London – therefore, it is most fitting to have him return here as the most senior German diplomat in the country. In his first Twitter messages as Ambassador, Dr Ammon expressed his delight at returning to work in London.